Republican Congressman Steve King has come under fire again for racially-charged remarks, this time after posting a meme on Facebook suggesting that red states would win if pinned against blue ones in a modern-day Civil War. The post prompted a former White House ethics chief to call for the Iowa congressman’s expulsion from Congress. King shared the meme, along with the caption: “Wonder who would win…” coupled with a smirking emoji. King has since deleted the post, denouncing “hatred in all its forms” in a Monday morning tweet. 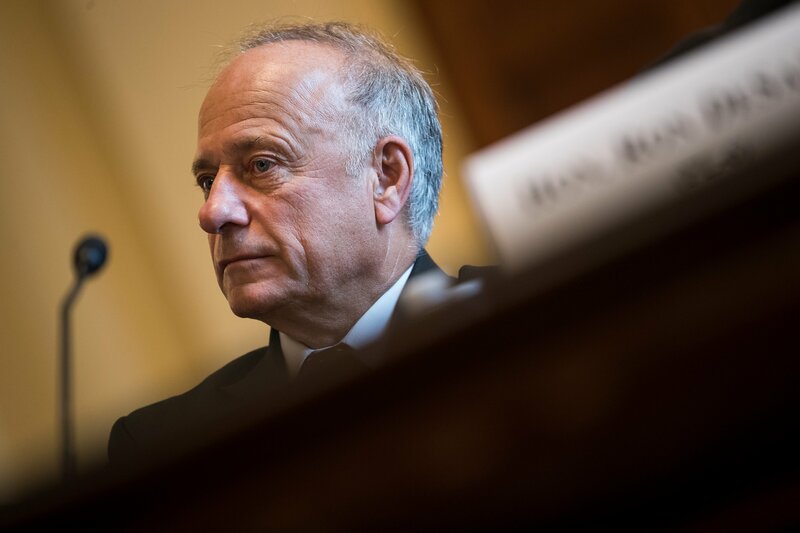 No stranger to controversial remarks on white nationalism, King was stripped of his committee assignments by House GOP leaders in January, after questioning to The New York Times when terms like “White nationalist, white supremacist, Western civilization” became offensive. In further rebuke to King and white nationalism, the House overwhelmingly passed a non-binding resolution of disapproval. King voted for the resolution and continued to say his quotes were taken out of context. Many Democrats called on King to resign. READ Report- O.K., Google: How Much Money Have I Made for You Today? “I’m putting up a ‘yes’ on the board here because what you say is true, is right and is just,” King said on the House floor. King has also retweeted a Nazi-sympathizer and at the 2016 Republican National Convention claimed that white people have contributed more to society than people of color. Democrats have been criticized by Republicans for not removing Ilhan Omar from her Foreign Affairs Committee seat after the Muslim congresswoman allegedly referenced anti-Semitic tropes. But party leaders argued that the GOP has long tolerated King’s racist remarks. “Congressman King, for years, has been using language and taking actions which belie the values of our country and reflect adversely on his party and on the Congress, and that’s why I think his party finally, after years and years, decided to take action,” House Majority Leader Steny Hoyer told reporters last month.